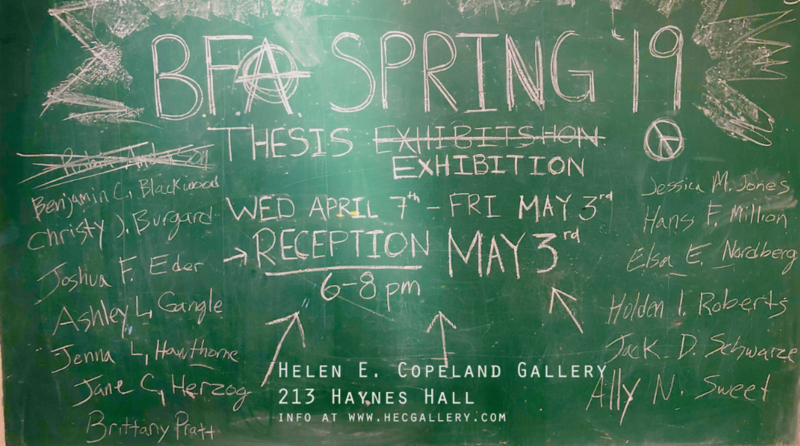 Thoughts, an exhibition of artwork by artists who are currently working at the MSU School of Art in the areas of ceramics, graphic design, metalsmithing, painting, photography, printmaking, and sculpture. The exhibition features a wide range of visual interests, spanning genres and media, from realism to abstraction, two to three dimensions, and small to very large scale. 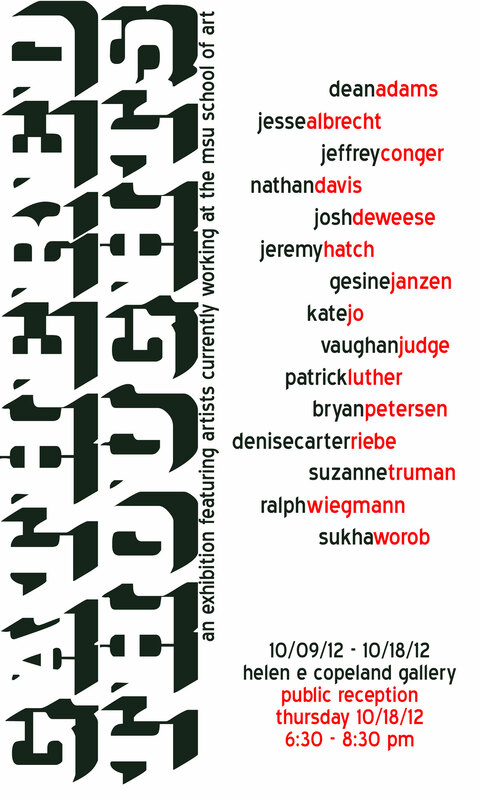 The exhibition includes works by Dean Adams, Jesse Albrecht, Jeffrey Conger, Nathan Davis, Josh DeWeese, Jeremy Hatch, Gesine Janzen, Kate Jo, Vaughan Judge, Patrick Luther, Bryan Petersen, Denise Carter Riebe, Suzanne Truman, Ralph Wiegmann, and Sukha Worob.